Lot 680. VISIGOTHS. Pseudo- Imperial Series, VI Century AD. In the name of Justinian. 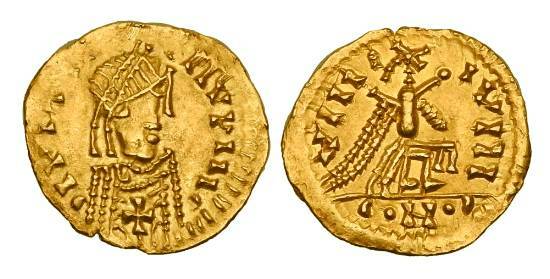 Gold Tremissis.